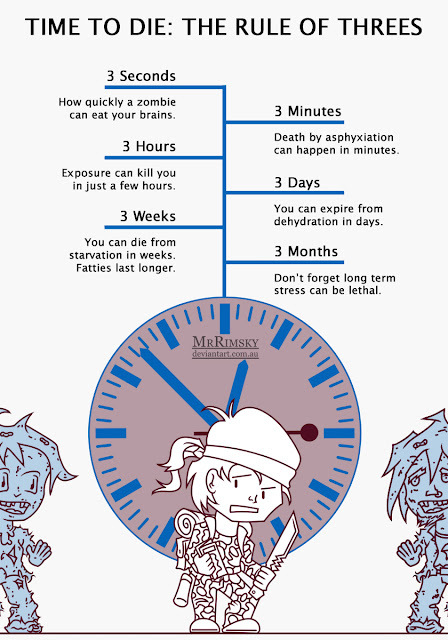 How quickly will you die in a zombie apocalypse? While many consider the zombies to be the biggest killer, mother nature has a bunch of other way to kill you. Zombies may have to take a number and be patient. So lets look at the basics of dying. Don't think it won't happen, once the zombies overrun the power stations and coffee shops, exposure and dehydration will be serious issues. Bite off more brains than you can chew little zombies.